I may be on the verge of dropping one of the key organizing principles in comparative politics in the next edition of my textbook. Like most of my colleagues, I started out using the division into first, second, and third worlds. Though I’ve changed terminology over the years and now use less pejorative labels, the book still contrasts the industrialized democracies, current and former communist regimes, and what we now refer to as countries in the Global South. I normally try to avoid obsessing about analytical categories. However, I’ve been obsessing and dealing with doubts about this one since I started writing the first edition in the early 1990s. Now, I’ve finally convinced myself that it’s time to let go of it. There were always problems with that breakdown. All of the terminology we used–however we phrased the division—was ideologically loaded and often downright pejorative. The end of the Cold War blew apart the second category, although I still found these countries’ Marxist-Leninist pasts a good guide to their present and future. However, the way we academics and, especially the media, present the Global South essentially as the world’s social, economic, and political basket case(s) no longer fits the evidence. Sure, there are problems galore there (and everywhere else for that matter) including the wrenching poverty and other problems that give rise to those stereotypes. In fact, I’ve done my part to perpetuate that image. In each edition of the book, I’ve found graphic, recent examples of the wretched conditions can be (like widespread slum clearance or the contrast between rich and poor neighborhoods), rampant corruption (India’s brilliant zero-rupee note campaign to “out” corrupt officials), and so on. To complicate matters further, most people who teach introductory courses in comparative politics want to include relatively large and relatively well known countries as examples. AP teachers have to do so given the constraints of their national curriculum. To be fair to myself, I have tried to undermine the stereotypes, most notably by incorporating the BRICS (Brazil, Russian, India, China, South Africa) and the whole notion of an emergent economy into the book. But that’s not enough. 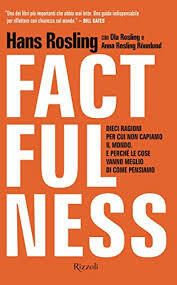 Now, after reading Hans Rosling’s Factfulness, I’ve decided that terms like Third World or its less objectionable near-equivalent, Global South, obscure more than they elucidate. Rosling, a Swedish public health physician who died while this book was being completed (it was finished by his children), is famous for his use of colored graphics that change over time and for his use of props like models of Volvos or Ikea storage boxes (he was Swedish after all). From his estimates, billions of people have made it into a version of the middle class or at least have escaped abject poverty. If current trends continue, another two billion people will soon be able to enjoy the kind of middle class life style I enjoy here in the States. A couple billion more will have more spartan existences but still have adequate clothing, shelter, schools, and, of course, a mobile phone. Rosling does not make the case that we’ve solved much of anything. Abject poverty, corruption, climate change, and all the other problems we discuss in courses that focus on problems still exist. However, we won’t be able to address them effectively as long as we rely on the mistaken, dated, “basket case” interpretations that downplay the importance of local resources and ideas that can be applied to the remaining issues. Similarly, the keep the world’s development agencies focused on helping the poorest of the poor and not focused enough on what local entrepreneurs, for instance, could do. There are now analysts, like Steven Pinker, who make similar arguments about global conflict and the declining rates of violence over time. They, too, acknowledge that plenty of violence remains. However, as many of the members of AfP are discovering, the changes taking place in conflict-ridden countries are also generating local peacebuilders who have new and creative ideas about how to deal with their problems which are very different from what Séverine Autesserre calls Peaceland. In fact, Rosling and Pinker argue that the very fact that we have made progress makes our failure to address the remaining ones all the more galling—and urgent. However, by ignoring the progress that has been made we blind ourselves both to the real nature of the remaining problems and to the way existing resources that are byproducts of that progress can be put to use. There’s only three problems with this logic as far as my own work is concerned, the first two of which primarily only concern me. The third one affects us all. First, there may not be a next edition of the book. Second, I can only drop this organizing principle if I can up with a new and better one. So far, that has escaped me. Third, how do we get others to see the progress humanity has made and how it makes further progress all the more urgent and all the more possible.